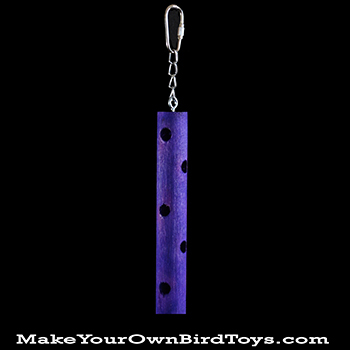 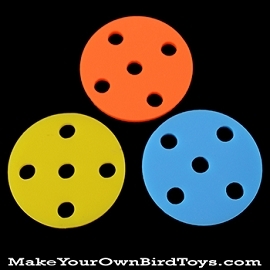 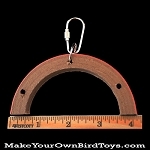 Oh, the possibilities......this 7/8" diameter hardwood wooden dowel has five 5/16" holes through which you can string all your birds favorite toy parts on either rope, leather, or chain. 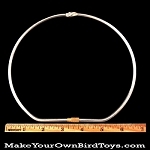 The overall length of the dowel base including the chain and pear link is 9-5/8". 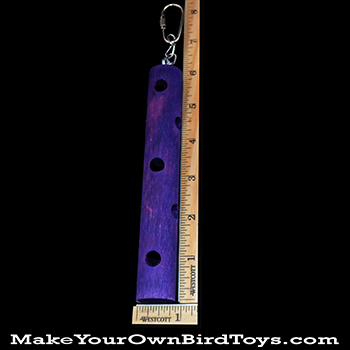 Available in purple only.